There are few things as frightening as the idea of being attacked by a large crocodile. It is truly the stuff that nightmares are made of. Sandy Rossi can testify to that. When 27 years old she lost an arm to a Nile croc in the Epulu River in Zaire --- a river that isn’t normal habitat for Nile crocs. She just happened to have the misfortune of running into a wanderer. As she rinsed her hair at the river’s edge the croc struck, grabbing her by her arm, dragging her underwater and beginning death rolls. "You could just feel the power," Rossi said. "He'd yank me back and forth to see if I was dead yet. Then he'd roll me some more." I vividly remember watching a TV interview with her where she chillingly recounted how she was relieved when her arm came off because she realized she finally had a chance to get away from the jaws of death. So she lost part of an arm but escaped with her life. 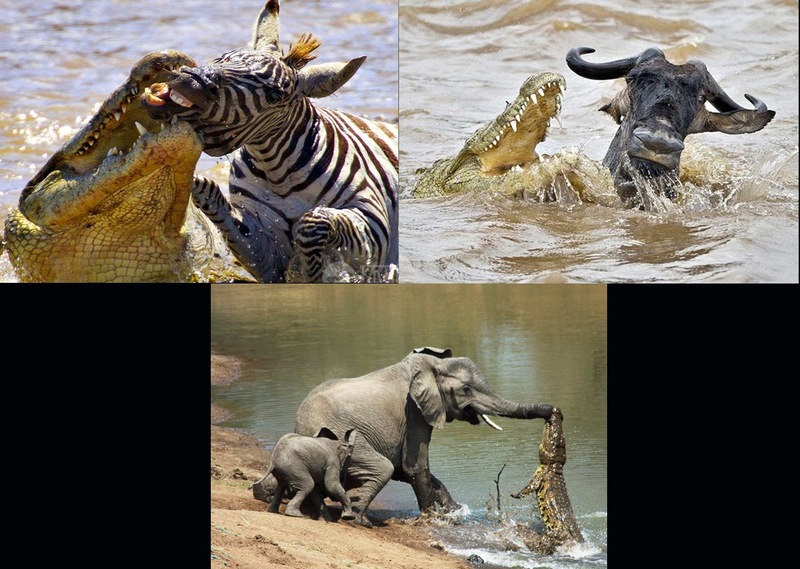 Today crocodilians are top predators in freshwater and estuarine environments. Salt Water crocs even traverse marine waters to get to off shore islands. 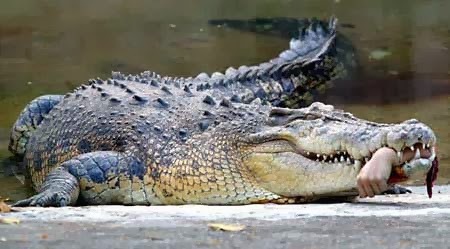 Throughout their long 200,000,000 + year evolutionary history one group or another of crocodilians has occupied the niche of top freshwater predator. The immense late Cretaceous Deinosuchus could certainly kill dinosaurs, including T. rex. But today’s crocodilians give the wrong impression of the wonderful evolutionary history of this group. This is a case where the present is not a good guidebook to the past. The crocodilian fossil record reveals that in the past these animals had a much more diverse, and sometimes surprising, anatomy and ecology, making livings in ways quite different from extant species. Some were slenderly built, long limb terrestrial runners, some were filter feeders, some were capable of walking just on their hind legs. And some, maybe the most amazing of all, gave up the carnivorous lifestyle completely and became plant eaters! Simosuchus clarki is the weirdest of all known crocodilians living or extinct. One can be forgiven for not even recognizing it as a crocodilian in the first place. Known only from the Cretaceous age of Madagascar the first specimen was described in 2000. But since then on-going field work on the island has produced multiple additional specimens, all very well preserved --- which is a good thing given how truly odd this beast is. A restoration of the pug-nosed Simosuchus, a most improbable crocodilian. Simosuchus was not a giant; just a mere 2 ½ feet in length and weighing around 20 lbs. The body was completely enveloped in a dense, closely packed set of boney armor plates. This armor severely restricted the side to side motion of the body and along with the short stubby tail, is strong evidence that Simosuchus was a land dweller and not a swimmer. The skeleton of Simosuchus (above) is strikingly different than that of an alligator (below). However, it is the skull that is most unusual and so highly specialized that it appears nothing like the living crocodilians we’re accustomed to (and I won’t even bother with all the detailed technical skeletal specializations in the skull). The most important thing to remember is that these fossil skulls are complete and uncrushed. The “missing” long snout is not broken off, rather Simosuchus evolved a very short face with a squared off snout. This pug face inspired the generic name, which means “pug-crocodilian”. 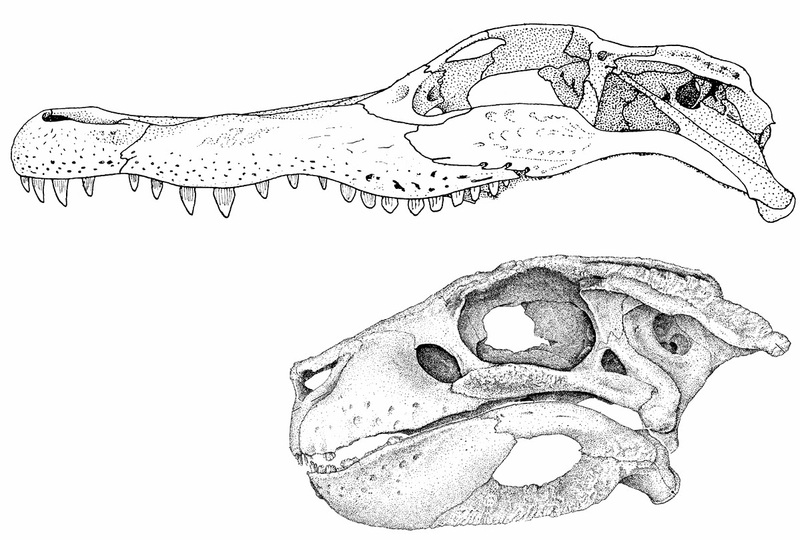 Skulls of an alligator (left) and Simosuchus (right) viewed from above. 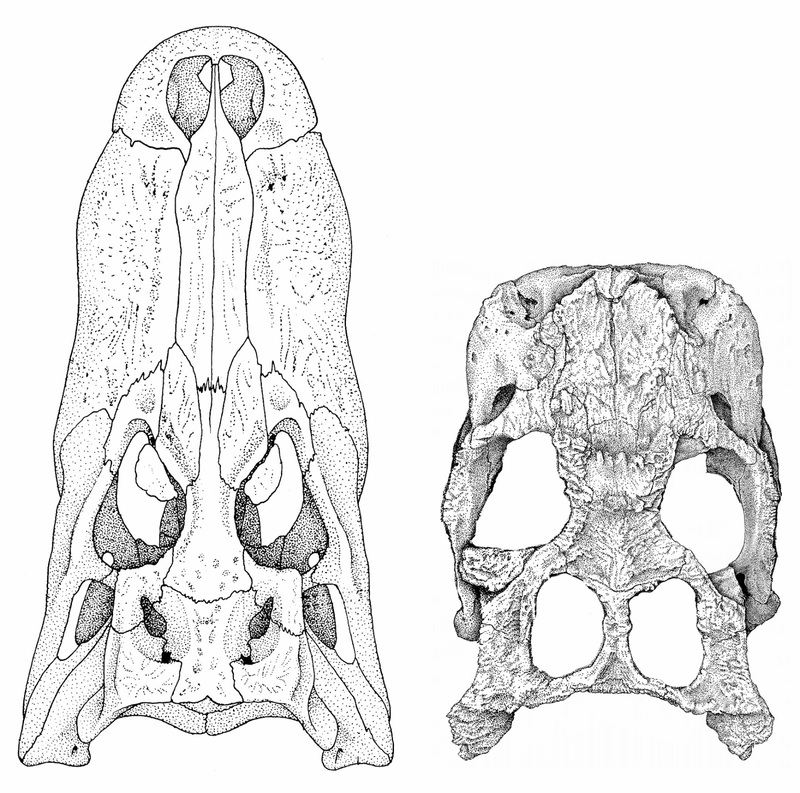 Skulls of an alligator (left) and Simosuchus (right) in side view. Even more bizarre are the teeth. The vast majority of crocs have pointed, conical teeth, just perfect for puncturing and holding onto flesh (and human arms). No so Simosuchus. This weirdo has teeth that are flattened side to side, with a blunt crown bearing a few denticles. Teeth of similar shape are found in several living herbivorous lizards as well as a range of extinct herbivorous reptiles, including plant-eating dinosaurs. Recent analysis of the jaw mechanics of Simosuchus shows that this creature was not able to generate enough force to cut through protein (i.e. muscle and skin) but just could generate just enough to cut through cellulose (plant tissue). Teeth of an alligator are just fine for puncturing delicate skin and muscle. The teeth of Simosuchus, too weak to cut muscle, were just fine for slicing up plant material. Simosuchus is known from remarkably complete skeletons and skulls and has been analyzed in great detail in a number of scientific publications. All authors agree that Simosuchus was a crocodilian that had left meat eating habits behind and evolved into a plant eater. But it might not be the only one to do so. Simosuchus is closely allied to the Notosuchia, an extinct group of small crocodilians found in Cretaceous rocks South America, Africa, Asia, and Europe. They all have shortened faces, although not as severely a truncated snout as in Simosuchus, and are terrestrial in habit. Notosuchians also show remarkable tooth specializations, some evolving a multi-cusped tooth crown structure like that seen in mammals, and it is likely that a number of notosuchians were plant-eaters. Since they are not dinosaurs, notosuchians don’t get much press, making them unsung weirdos, with Simosuchus serving here as tip of the herbivorous crocodilian iceberg. Gignac, P. and Kley, N. 2013. Inferences on the feeding biomechanics of the bizarre pug-nosed crocodyliform Simosuchus clarki. Journal of Vertebrate Paleontology, Program and Abstracts, 2013: p. 84.